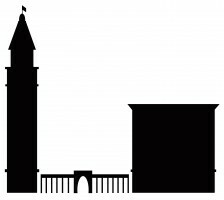 Let’s look a little more closely at mortar – a key component of masonry construction. Most of the time when a brick wall is laid up, mortar is installed flush to the face of the brick, or perhaps it has a concave or an incised appearance. But sometimes you see sloppy mortar that projects out past the masonry, such as in the photo below. 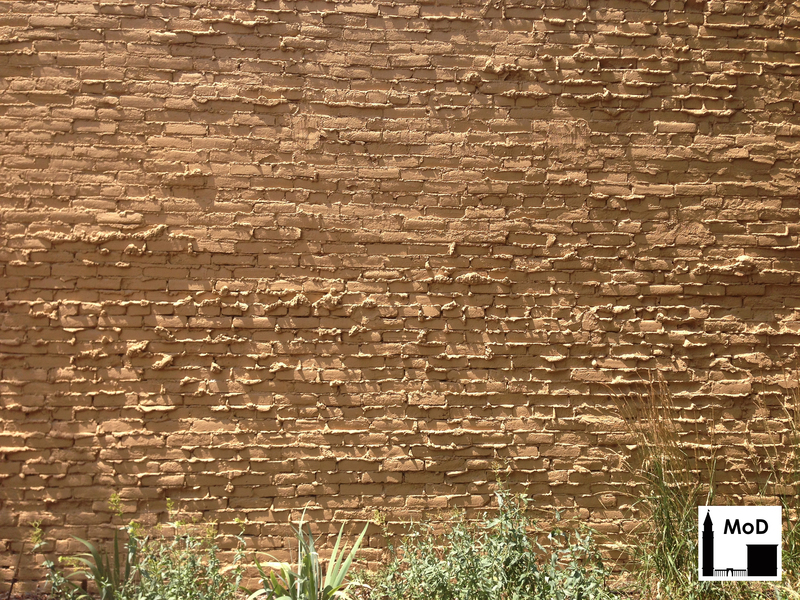 Usually when you see sloppy mortar on a wall, it is a clue that the wall was never meant to be visible. When he was erecting the building, the mason of this wall probably took care to create nice, smooth mortar joints at the interior of the building. But for the exterior, the mason probably could not clean up the mortar joints because there was another wall laid up against it. His sloppy mortar work was exposed only when the adjacent building was demolished to create this garden. It was entirely unintentional. Sometimes, however, sloppy mortar was an intentional choice of the architect. There is a style of mortar in the Front Range that I have never noticed back east: ‘weeping mortar’. From what I can tell, it seems to have been popular between the 1930s and 1950s – perhaps even slightly later – and it entailed allowing the mortar to ooze out of the masonry while the wall was being constructed. 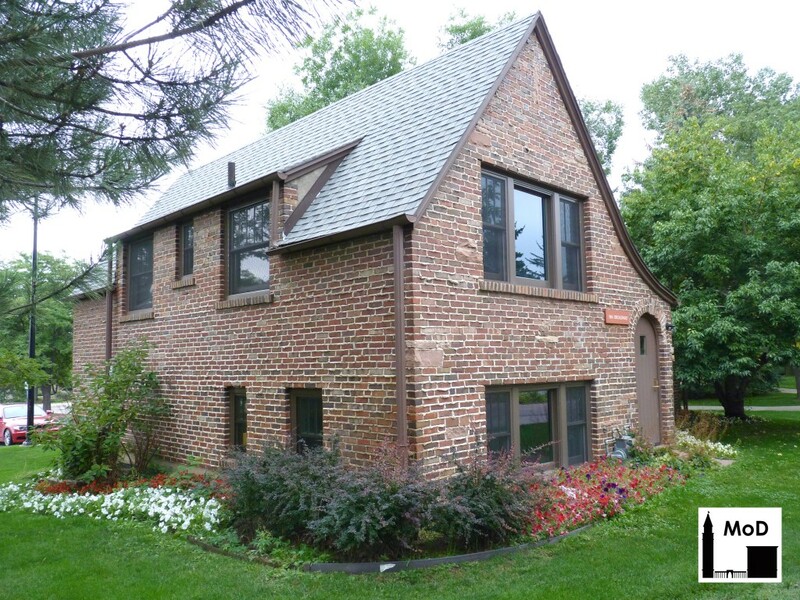 I saw this Tudor-Revival style building with weeping mortar joints on the University of Colorado campus a few weeks ago. 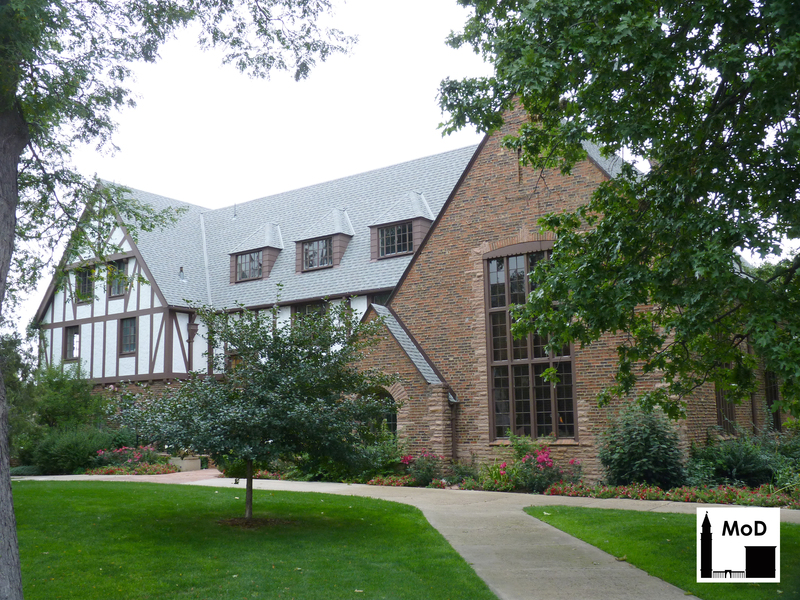 It was built in 1931 as the Pi Kappa Alpha fraternity house, and was designed by celebrated Boulder architect Glen H. Huntington [pdf] (not to be confused with his father, Glen W. Huntington, an architect who practiced primarily in Denver). The house was purchased by CU in 1970 and currently serves as the University Administration Building. It was made using beautiful red and brown flashed brick, whose colors are created through a deliberate manipulation of the chemicals and temperatures in the kiln. You can see the gray mortar ‘weeping’ out of the joints in the photo below. Usually a mason scrapes the mortar off the brick when he adds a new course of brick, but for this building the mortar spills were left on the brick intentionally. The same technique was used for the small adjacent building – the University Administration Annex at 924 Broadway. Weeping mortar gives the masonry an interesting texture, to say the least. I have seen the same treatment on a concrete block hotel building on East Colfax in Denver, in several mid-century neighborhoods, and on a few other buildings in the Denver suburbs. UPDATE: I have been asked several times by homeowners whether weeping mortar can be removed. The short answer is, sure, all mortar can be removed (in theory). But I suppose the real answer depends on a the strength of the mortar, and the workmanship of the mason who will be removing it. Weeping mortar would need to be carefully chipped off with a chisel. An errant chisel blow to the mortar could chip the face of the brick. 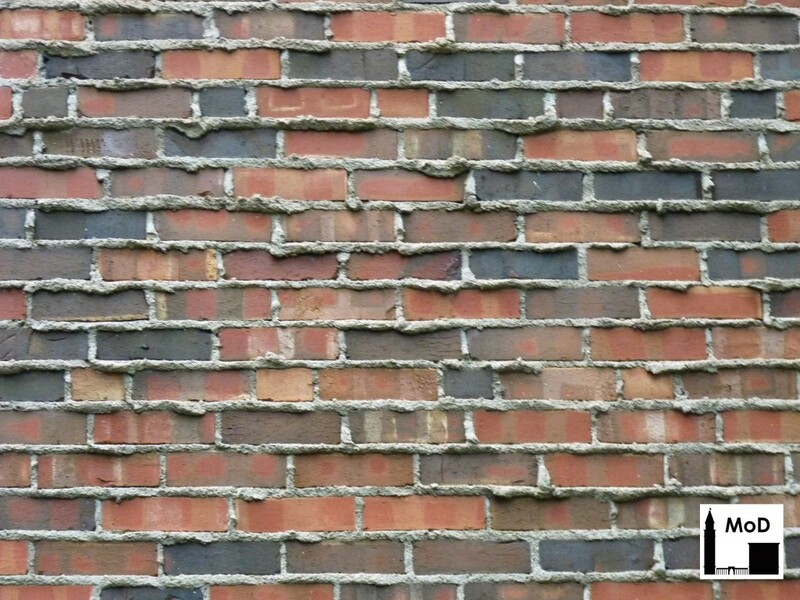 Once the weeping mortar was removed, the mortar between the bricks would need to be cut back at least 1/2″ behind the face of the brick to allow the mason to repoint the mortar with a flush or concave tooling. Weeping mortar joints are typically wider than the narrow late-19th century “butter” joints, but it would not difficult for a mason who was removing mortar to cut into the brick using a grinder. Great care would need to be taken to prevent damage to the brick when removing weeping mortar. In addition, the stronger the weeping mortar, the harder it will be to remove. Weeping mortar was used on Depression-era and mid-century structures, so I would guess the mortar contained more cement than earlier mortar mixes, giving it strength and durability. So, yes, weeping mortar can be removed from brick, but as with most repair and rehabilitation projects, it is important to hire a skilled contractor with experience working on older structures.